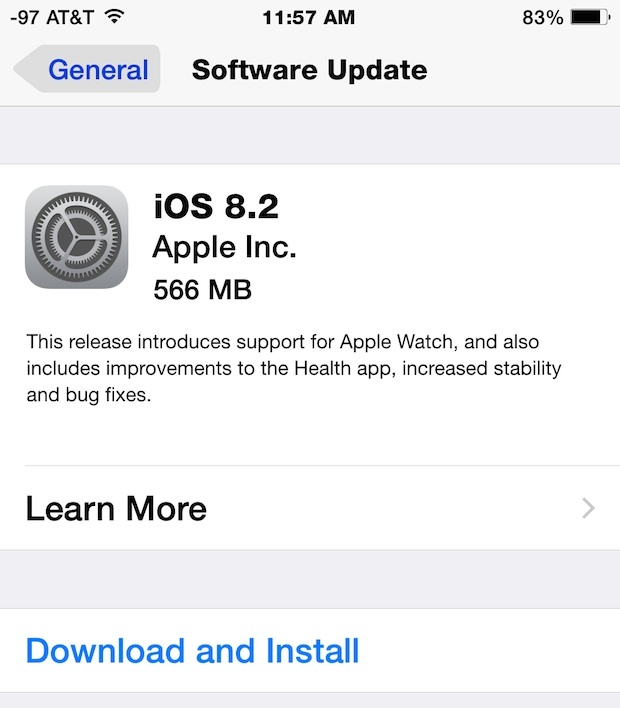 iOS 8.2 has been released for all compatible iPhone, iPad, and iPod touch devices. The new release includes bug fixes and feature improvements, and is required for iPhone users who wish to use an Apple Watch when it is released on April 24, as the new iOS version ships with the Watch companion application. Always back up your iOS device before installing an iOS update. 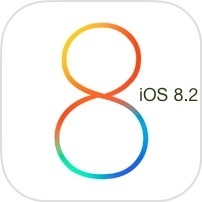 Optionally, iTunes users can update to iOS 8.2 by connecting their iPhone or iPad to a Mac or PC, launching iTunes, and updating from there. For advanced users who prefer to install iOS updates through IPSW firmware files, you can download the latest versions of appropriate firmware for iPhone, iPad, and iPod touch from the links below. These are hosted directly on Apple Servers, for best results right-click and choose “Save As”, be sure the file has a .ipsw extension. Installing and updating iOS through IPSW requires the usage of iTunes. This release introduces support for Apple Watch, and also includes improvements to the Health app, increased stability and bug fixes. Where is the links ? My camera is the same on my iPhone 5.
apple has a feedback section on their website. go there an complain about not being able to remove Iwatch. enough complaints maybe they will do something about it. Still no iCloud Drive browser? if I want to restore my IPad with this software to just updating, can I do it with this? and if I can then how? Taking an inordinate amount of time to download and then freeze. Any chance you guys will think about posting a link to a torrent with all the firmwares compiled? I run a repair shop and it takes forever to download them individually from the links. Hi. Im allan from the Philippines. Im having problems with my ipad mini regarding updating/restoring to iOS 8.2. Instead of updating my device thru wifi or itunes, I tried using the link in your website. The reason for using the link in your website is because I have no internet at home so I downloaded the software in a wifi area then update my iPad later at home. But after the restoring, I cant access my iPad becasue I think the update is registered to someone else. The user is 4********@qq.com. Well that’s what i saw in iTunes and on my iPad. I tried restoring in iTunes again and again but i have the same result. Right npw I cant use my iPad. Since I got the source from your website, Im sure you can help me fix this issue. Please you have to help me fix this since it’s from your website. Im waiting for your reply asap! The IPSW files are from Apple, they are not registered. If you put in the wrong email address you would need to change it.